Various beautiful pre-designed templates provided by Focusky are sure to meet your needs. Just select your favorite template and fulfill the content, you can apply Focusky template for a wonderful presentation with few clicks. No matter you want to build up a personalized presentation or an effective product video presentation, Focusky offers plenty of templates for you to make your presentation eye-catching. This engaging video presentation maker ensures an easy way to apply template so that you can finish it with less time consuming. Quickly start with a pre-designed template for creating outstanding presentation that shines your ideas. Following tutorial to apply Focusky template to create a beautiful presentation. 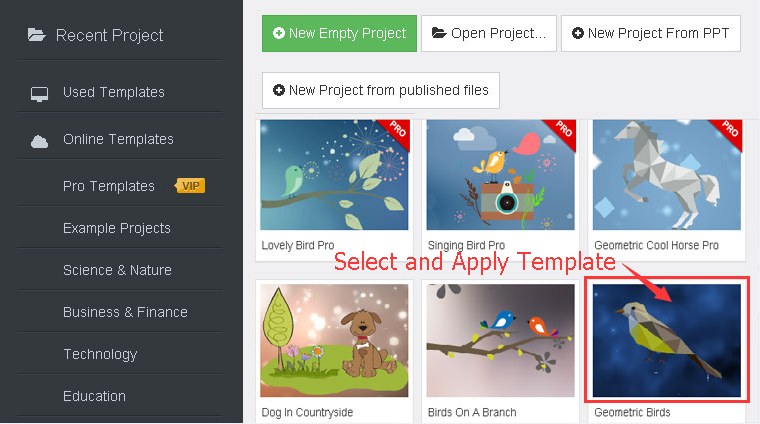 When you start Focusky, a variety of templates appear so that you can choose one to create your fabulous presentation. All these templates contain different logical structure. With a simple click on the template, you are able to open this template and fulfill it with your ideas. After selecting and applying pre-designed template, you are able to enrich your presentation with multimedia content and dynamic animations. 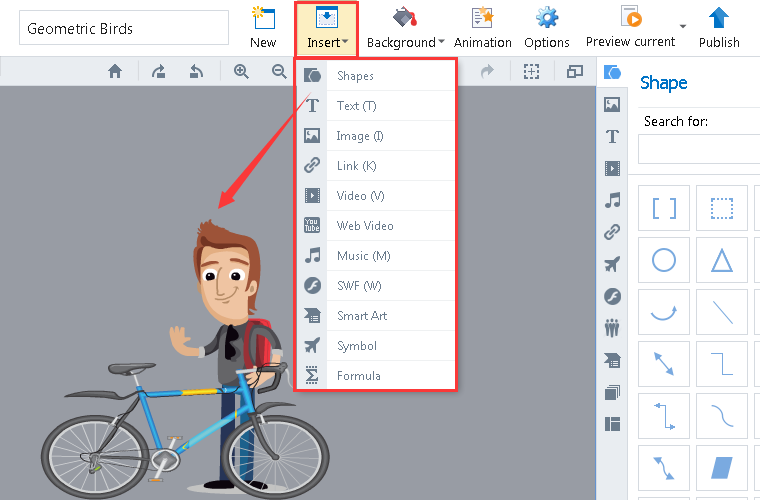 Click "Insert" icon to add music, video, text and images to strengthen your presentation. At the same time, you can click "Animation" to add animation effect for great visual impact. When finish designing your content, your presentation can be published as video format for inspiring wider audiences.